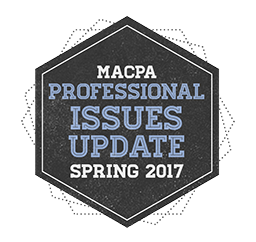 CPAs in Maryland attend these town hall-style meetings with Tom Hood to gain invaluable insight in to the always-changing CPA profession. As the CEO of the Maryland Association of CPAs, Tom is uniquely qualified to help “navigate the now.” Now is when CPAs must thrive – not just for the profession, but for the good of the whole economy. All Spring Town Halls are also available as a simulcast.